“My wife and I were what I would characterize as very mainstream parents, which meant that when our second son was born in 2002, we basically handed him to our pediatrician and did whatever he told us to do, which meant following the Centers for Disease Control and Prevention’s (CDC) recommended [vaccine] schedule. We could never get a plausible explanation for what was happening. Then, shortly after my son turned 1 year old, he started to decline neurologically. He lost his words. He lost many of his normal mannerisms. He started doing these really unusual behaviors. He started craving certain foods — all these things that somebody like you knows are red flags for a child heading towards autism. But at the time, we were ignorant to this and our pediatrician didn’t help us at all. We were living in Northern California. We took our son to University of California San Francisco (UCSF) where they diagnosed him with severe autism. At the same time, we visited a Defeat Autism Now! (DAN!) doctor in Pleasanton … Dr. Lynne Mielke. We were presented with two completely different worlds. At UCSF, autism was genetic. It was lifelong. He was likely to be institutionalized. There was nothing we could do about it, except to prepare ourselves. In our case, we went to the facts. We went to the reality of how our son had declined after being on a normal path of development. We ultimately made a decision that we did believe that the vaccines triggered our son’s autism. We did believe that biomedical interventions could work for him. Still, he continues to be affected by autism, and this is a reality for many parents. While some children are able to make a complete recovery, others do not. Most, however, can make improvements. Even at 16, Handley’s son continues to improve, and new biomedical interventions are becoming available. Prevention is key, though, and making vaccination decisions are an important part of that. “I think, in many ways, that the jury is in on this. My book is bolstered by the fact that two of the titans of the mainstream autism medical community have changed their tune through depositions, and now support the things that parents have been saying for decades. I think that those two scientists [Dr. Andrew Zimmerman and Dr. Richard Kelley], who people don’t know about, and the way they’ve changed their tune are going to have a dramatic impact on this debate. Like Handley, I believe vaccines can play a role in autism, although it’s certainly not the sole factor or trigger. In the last half of the 20th century, not only has the vaccine schedule grown, with many vaccines being added, but our food supply has also been inundated with glyphosate, and there’s been a radical increase in the exposure to electromagnetic fields. All three of these factors are pernicious, and there’s evidence showing all three can play a role in autism development. Heavy metal exposure is another factor.1 That said, the connection between autism and the introduction of vaccines in many children is quite clear. “The interesting science that’s come about since the mid-2000s and beyond concerns this notion of an immune activation event in the brain of a child. We believe that immune activation events are actually what causes autism. The question is, ‘What’s the trigger for those immune activation events?’ because there could be a myriad of triggers. In the emerging science, which has largely been developed in other countries, it shows us how aluminum, specifically — aluminum, which the whole purpose of it being in a vaccine is to hyperstimulate the immune system — in certain vulnerable kids, can create a persistent immune activation event, sort of a simmering inflammatory event in the brain. That simmering inflammatory event, if it happens during critical phases of brain development, can cause a child to head into autism. Those analysis models, unlike the epidemiology the CDC did that was not that helpful trying to discern causation, most analysis models are showing us, with some very specific data about the brain, just how a vaccine can trigger an immune activation event that then leads to autism,” Handley says. Aluminum is a known neurotoxin, and in vaccines, the aluminum is in a nanoparticulate form, which when injected makes it all the more problematic. When injected, macrophages, which are part of your immune response, are sent to the injection site, where they gobble up some of that aluminum. “The [macrophages] grab the aluminum that they don’t know what to do with. Some portions of those macrophages end up in the brain. They sit there, and it’s called biopersistence. The aluminum just sits in the brain and the body doesn’t know how to get it out,” Handley says. Today, children routinely receive 49 doses of 14 vaccines by age 6, and there are estimates that 1 in approximately 35 children develop autism. That’s nearly 3 percent of the U.S. population. In 1985, children received 23 doses of seven vaccines: diphtheria-tetanus-pertussis (DTP), oral polio (OPV) and measles-mumps-rubella (MMR). The autism rate was also vastly lower. Depending on the data source, the autism rate in 1985 was between 1 in 5,000 or 1 in 10,000. In 1986, in large part due to the brain damage being caused by the DTP vaccine, the National Childhood Vaccination Injury Act (NCVIA) was passed, which partially indemnified vaccine makers from liability for CDC recommended vaccines for children. Later, in 2011, the U.S. Supreme Court insulated vaccine manufacturers from all liability when someone is harmed or killed by a childhood vaccine. “When you go to vaccine court in Washington D.C., the lawyers who are paid money to fight your claim are Department of Justice (DOJ) employees. The judge who’s there to adjudicate your claim is a special master who has full control over the proceeding. You have no jury. You have no normal judicial process. That 1986 [law] ushered in a rapid introduction of many different vaccines. Today, I would argue — and I do quite strongly in the book — we’re simply giving too many vaccines for too many diseases that are not that dangerous. In return, we have this massive explosion in chronic disease. It’s a trade. We’re slightly reducing certain acute illnesses. We’re having an explosion of many chronic illnesses. Handley suggests that parents need to weigh the pros and cons, and ask themselves which health risks they’re willing to take to protect their child against any given disease. “Do I want [my child] to get a rotavirus vaccine if the risk is asthma? Do I want [them] to get a Haemophilus influenza type B (Hib) vaccine if the risk is a lifetime of diabetes or some other autoimmunity and a much higher risk of autism? By not acknowledging the very real risks of these vaccines, parents aren’t in a position to make an informed decision about whether or not they’re worth it for them,” Handley says. Autism, for a family, is devastating. I think one of the things that really frustrates me about this epidemic is the whitewashing of autism … The truth is most children with autism can’t speak … [they] will never live alone … [they] will never have a job. Most children with autism require daily and hourly care [and] die early. We can never look away from the severity of this epidemic or this disability for most of the children affected by it. It’s because of the devastating nature of the disability that it puts such a strain on families. One of the most questionable vaccines, in my view, is the hepatitis B vaccine, which is given on the day of birth. Not only does it contain aluminum, there’s simply no real justification for administering it to all healthy newborns, as hepatitis B can only be contracted from IV drug abuse, sexual activity with an infected partner, a blood transfusion using contaminated blood, or from an infected mother. It would be far more sensible to simply screen pregnant women for the disease, and only give the vaccine to infants whose mothers actually test positive for hepatitis B. The Hib vaccine also contains aluminum, and it, too, is given very early on, the first dose usually administered at 2 months old. Handley points out that parents should do their own research and make an informed vaccination decision for their child. “You need to gather data on each vaccine and decide for yourself, ‘Is the risk-reward there for me?’ If you do that research and you decide it’s there for you, all the more power to you. This is a free country. I believe in medical freedom. I believe that everybody should use whatever intervention they think is appropriate for their child. What I don’t believe in is that a parent should walk into an office with a child who’s 2 months old, having not done the research, hand your child over to the pediatrician and they stick the child with six vaccines and you can’t name what any of them are. By the way, that’s a mistake I made. That’s the message I try to send to other parents: ‘Be way more informed. Be way more vigilant.’ There are pediatricians in every market who are more open. Find those pediatricians and work with them. Focus on the health of your child, not on implementing the CDC’s vaccine schedule. In depositions in a trial in Tennessee, Zimmerman and Kelley make it clear that children really should be screened before their first vaccine. If screening for individual susceptibilities were in fact done, many or most vulnerable children would be spared from being harmed by vaccines. “They bring up specifically in their depositions things like the methylenetetrahydrofolate reductase (MTHFR) mutation, a gene that can limit the ability of the body to detoxify,” Handley says. “They bring up maternal autoimmunity history as a potential risk. Any signs of food allergies, any signs of other illnesses, obviously. 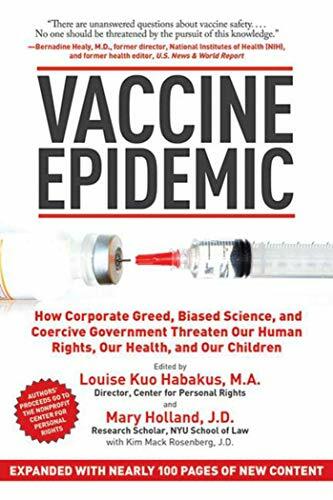 Vaccine Epidemic: How ... Best Price: $35.13 Buy New $14.20 (as of 10:05 EDT - Details) Handley spends an entire chapter tackling the mainstream notion that the science on vaccines is “settled;” that the studies have been done and no harm could be found. “It’s simply a lie,” Handley says. To be convinced, however, you may need to actually read through the studies yourself. If you do, you’ll find the “evidence” that vaccines don’t cause autism is based on a single vaccine, the MMR, and they only looked at a single ingredient, thimerosal. “Anybody with the willingness to spend a little bit of time on this topic will grow disenchanted with the things they’re saying because they’re unsupportable. They’re lies. They’re propaganda. I find it deeply disturbing that our public health officials will lie that blatantly,” Handley says. A major part of the problem is the fact that the CDC has been captured by the drug industry. Not only is the CDC in charge of implementing and promoting the vaccine program, it also holds dozens of vaccine patents,2,3 while simultaneously being in charge of vaccine safety and tracking autism rates! Add to that the revolving door between the CDC and the vaccine industry — the transition of Julie Gerberding from being director of the CDC to being an official in Merck’s vaccine division is one of the most egregious ones — and you have a situation in which the agency charged with safety simply will not lift a finger to fulfill that responsibility. Handley cofounded Generation Rescue with his wife in 2005. Actress Jenny McCarthy is the president. The organization assists parents who want to initiate biomedical intervention for their autistic child, and hold an annual Autism Education Summit. This year, it’s held September 28 through 30 in Dallas. I’m scheduled to be keynote speaker. This summit is a wonderful opportunity for parents to hear what’s new directly from the cutting-edge doctors who are treating children with autism biomedically. 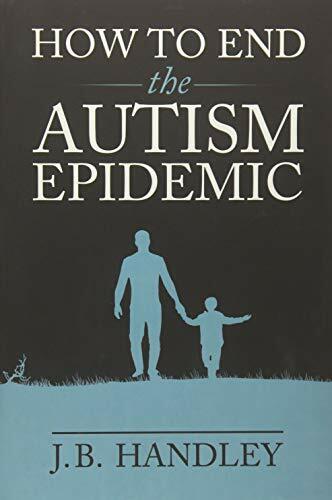 You can also learn more in Handley’s book, “How to End the Autism Epidemic,” which includes depositions from Zimmerman and Kelley — two pre-eminent members of the Kennedy Krieger Institute, the leading autism institution in the country — in which they unequivocally state that vaccines are causing autism. A third deposition covered in the book is by Dr. Stanley Plotkin, by many considered the godfather of the vaccine industry. Dr. Paul Offit brought him into Voices for Vaccines, a pharma front group, as an expert witness for a legal case in which a husband and wife were in disagreement as to whether or not to vaccinate their child. “[Plotkin] sat through an eight-hour deposition [and] was destroyed by the opposing council. 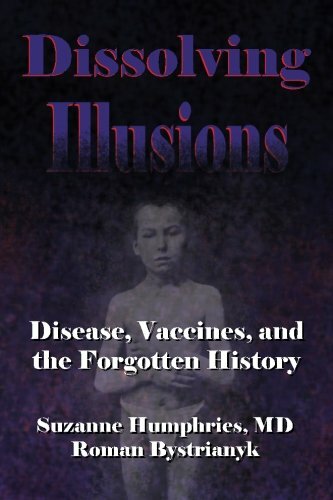 What was revealed was many of the tricks, false narratives and disturbing ways of thinking that people in the vaccine industry think through, because Plotkin was one of the thought leaders of that. We learned everything from the fact that he tested vaccines on mentally retarded children — his words, not mine — babies in prisons and orphans. We learned the ugly history of vaccine trials. But he clearly acknowledges that the DTP vaccine doesn’t really work, and that the human papilloma virus (HPV) vaccine trials were in fact quite faulty, because they had no placebo group. They received an aluminum-containing vaccine … His conflicts of interest are also spelled out in detail. He’s literally making millions of dollars a year from vaccine makers, yet projects himself as this independent spokesperson for vaccines. He bailed on the trial the next morning after giving his deposition. He refused to be an expert witness. Luckily, we were able to obtain that deposition in a public manner. It’s not sealed. I think anybody who reads his words in that deposition will be blown away by how the, arguably, default leader in the vaccine industry actually thinks. It’s very damning and very disturbing,” Handley says. Lastly, you can also follow Handley on his blog, JBHandleyBlog.com. Among his most recent articles is “Did Vaccines Save Humanity?” in which he reviews disease statistics and vaccine data to answer that question. Between 1900 and today, there’s been a massive decline in mortality, especially mortality from infectious diseases, and mandatory vaccination advocates are often quick to attribute that to the success of mass vaccination programs. However, scientists have identified a number of many other factors that contributed to lower mortality rates. Facts are facts. Data is data. Anybody who tells you that billions of lives have been saved because of vaccines, or whatever number they try to use, or that it’s the primary driver [of infectious disease reduction] is insane. Because the facts don’t support them and say differently. If you go to Africa, where they’re still living in crowded conditions and still have horrible water, and they still don’t have sanitation or refrigeration, and you vaccinate every kid, you might kill more children than you help because the other conditions haven’t been bolstered. We actually learned that through … a study4 by Dr. Peter Aaby, a renowned epidemiologist of vaccines. What he found is that in [Guinea-Bissau] … children who got the DTP vaccine were five times more likely to die than those who didn’t. The reason for that, as far as he could explain, was that it weakened their system so much that they were far more susceptible to other infections, because they were living in a highly infectious environment. 3 Age of Autism, A License to Kill?